We used Ben Moore Beach Glass in an oil lacquer for the wood trim and recovered the sofa in a Robert Allen linen. 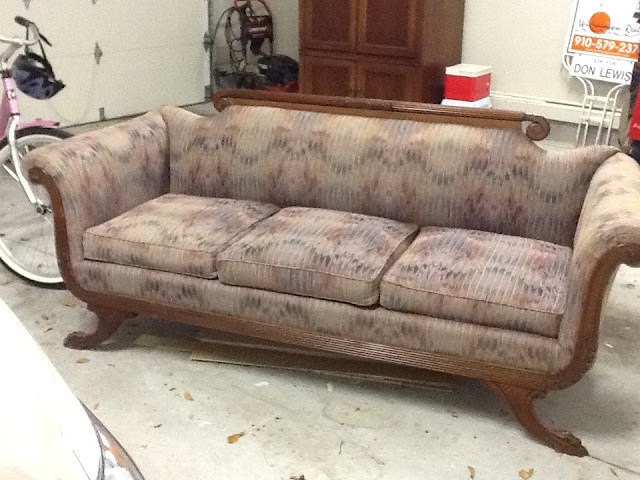 Here is the Duncan Phyfe sofa pre-makeover... See the potential... love the lines? Would you have brought this home or left it in your mom's garage? 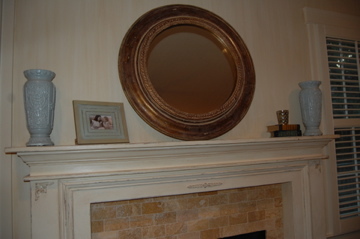 Any heirloom piece can be made current and fun with the right paint and fabrics. The added contrasting ivory fabric on the back of the piece gives it texture and character. 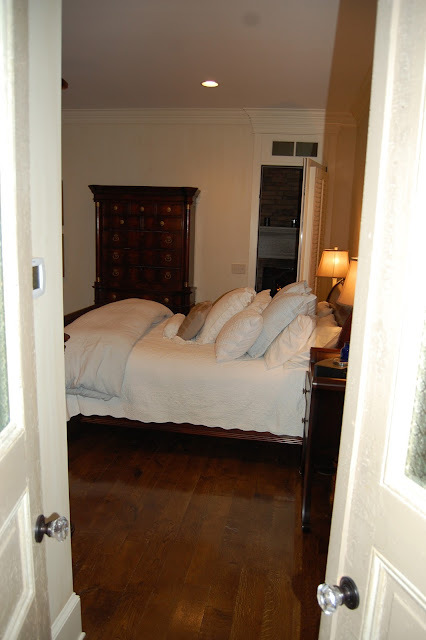 We also added linen pillows, and a new ottoman and rug from Overstock to ground the space. We slip covered some existing chairs that had very modern lines. By shortening the skirt and adding tiny pleats, we gave them a tailored yet shabby chic, romantic look. The client found the magazine rack at a thrift shop in town and painted it Beach Glass. Isn't it just so cozy? We accessorized with natural elements and kept the color palate of grays, creams and blues. The room has an amazing fireplace that beckons you to curl up with a good book. We didn't,(because that would have been awkward) but we know the family that lives here will! We had to add a little faux fur. The hobnail lamps were also a great find. a beautiful screen porch. Can you ever have too many fire places?